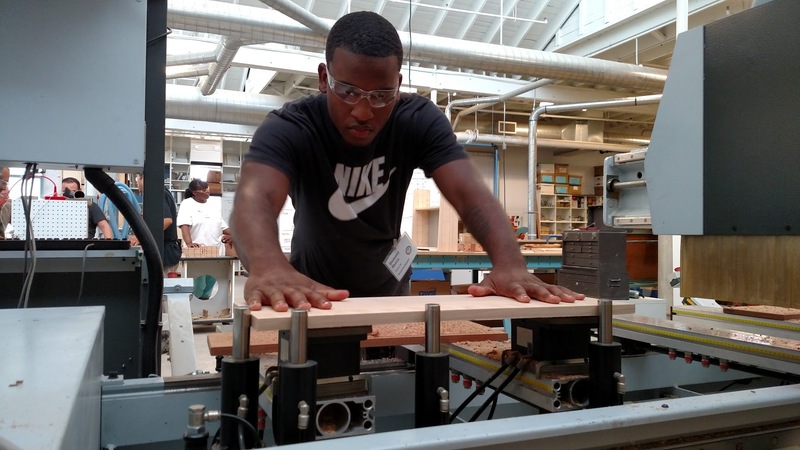 Since being established 25 years ago, the Greater West Town Training Partnership (GWTP) has trained and placed some 900 low-income adults with jobs in Chicago-area woodworking firms. Doug Rappe, GWTP program coordinator and a member of the Illinois Urban Wood Utilization Team, has been involved with GWTP since its inception in 1993. 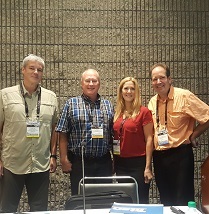 The Woodworking Machinery Industry Association honored Rappe for his long-standing commitment to workforce development with its prestigious Educator of the Year Award in 2014. GWTP is part of the Greater West Town Community Development Project, a not-for-profit entity that gets its funding from a variety of public agencies and charitable foundations. 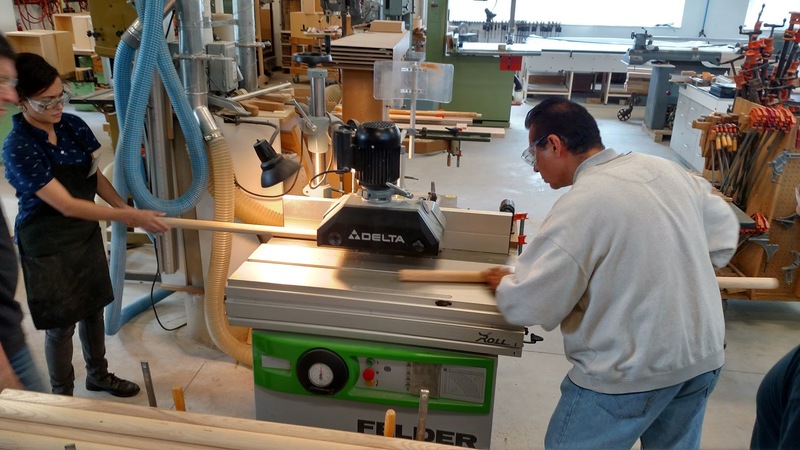 In addition to woodworking, GWTP offers a hands-on shipping and receiving training program. The two training programs each occupy space in a 55,000-square-foot facility that formerly housed an envelope manufacturer located at 500 N. Sacramento Blvd. Read more about this award-winning program. 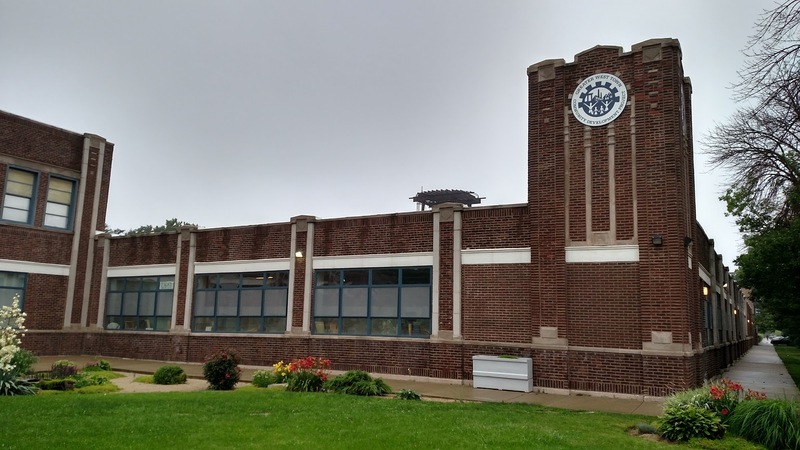 Learn more about the Greater West Town Partnership Project. 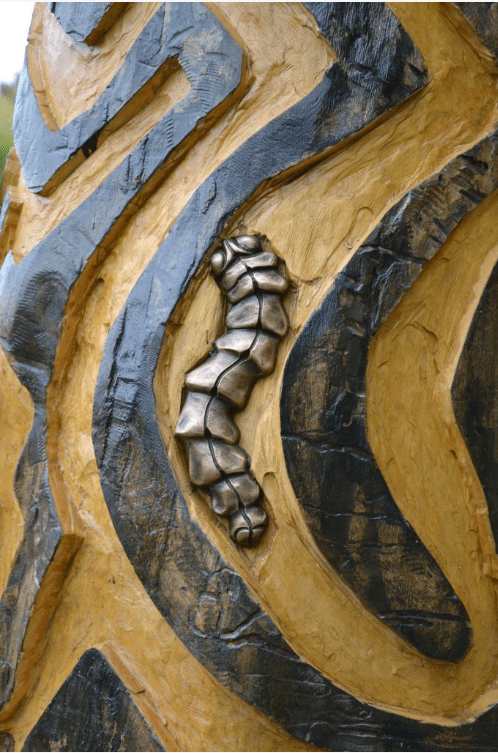 Artist Janet Austin captures ‘The A”maze”ing Larvae of the Emerald Ash Borer’ in her sculpture at Palmer Square Park. Through special arrangement with Chicago Sculpture International, more than two dozen dead or dying trees, have been transformed into works of art on Chicago Park District land throughout the city during the last four years. The 2017 collection of tree sculptures includes the “A”maze”ing Larvae of the Emerald Ash Borer,’ a creative look at the pest and the path it created boring into the tree it ultimately killed. 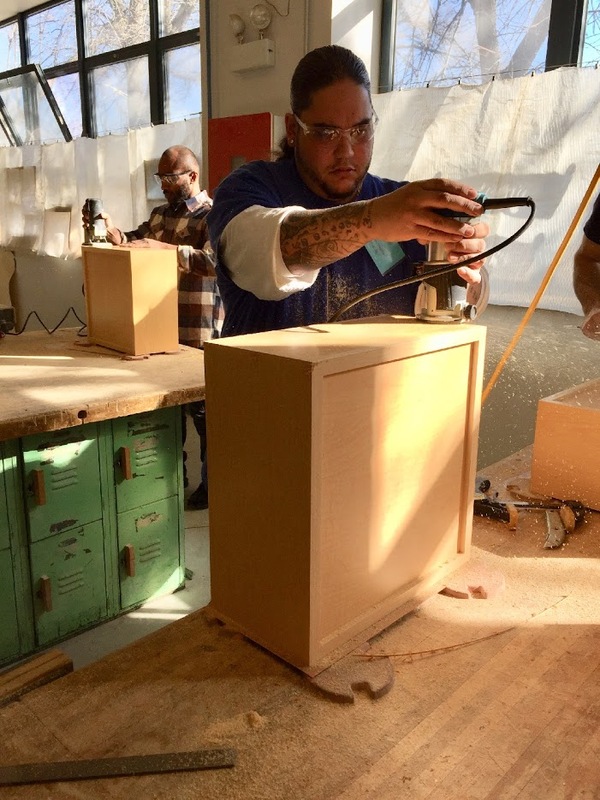 Check out the story in this month’s Illinois Urban Wood Update and then visit the Chicago Tree Project website to view all of the creations and the park that each one graces. Also, this month, watch the third episode of Wood-Mizer’s Urban Sawmilling Series. This video features the owners of Van Urban Timber in Vancouver, BC. 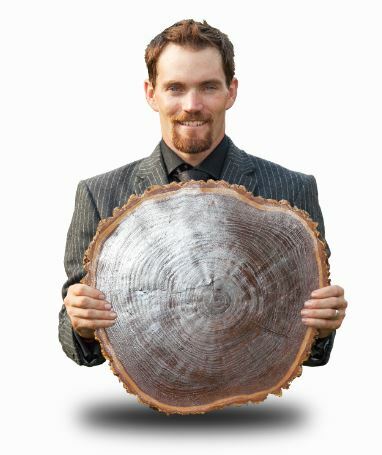 I was happy to receive a call from a writer for Tree Services magazine for information about the urban wood movement. 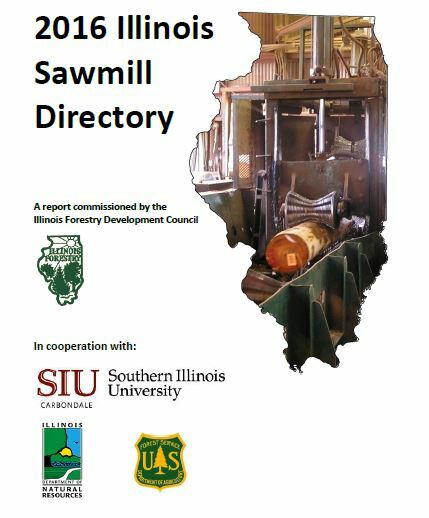 I was delighted to oblige with discussing the Illinois Wood Utilization Team’s mission to putting felled and fallen urban trees to their best and highest valued use. A link to the article is included. If you haven’t already done so, I urge you to check out the invitation to join the Urban Wood Network. Free membership is being offered until June. Keep me in mind if you have a story, photo or comment to share about your involvement in the urban wood movement. 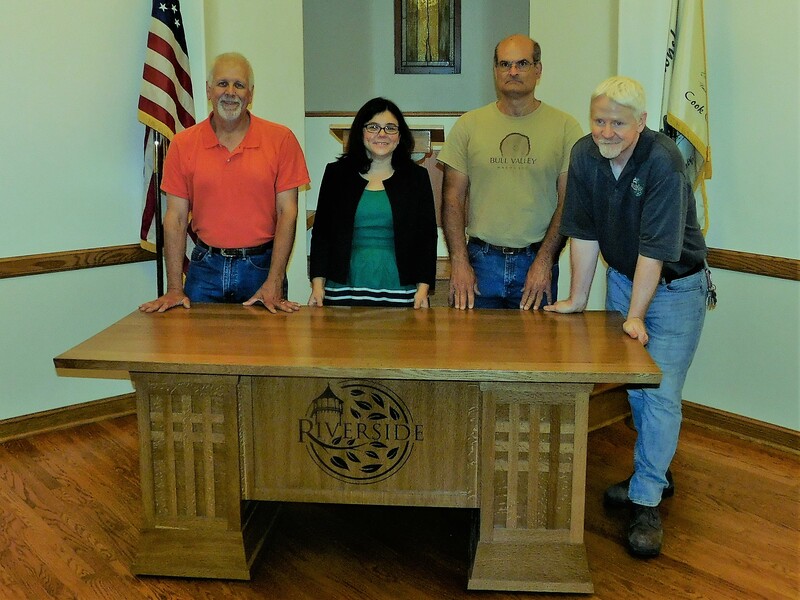 Paul Meyer of Woodstock Woodworks, left; Jessica Frances, Riverside village manager; Dan DeSerto of Bull Valley Hardwood; and Michael Collins, Riverside village forester, pose with one of the three trustee tables crafted from a 160-year-old oak tree. 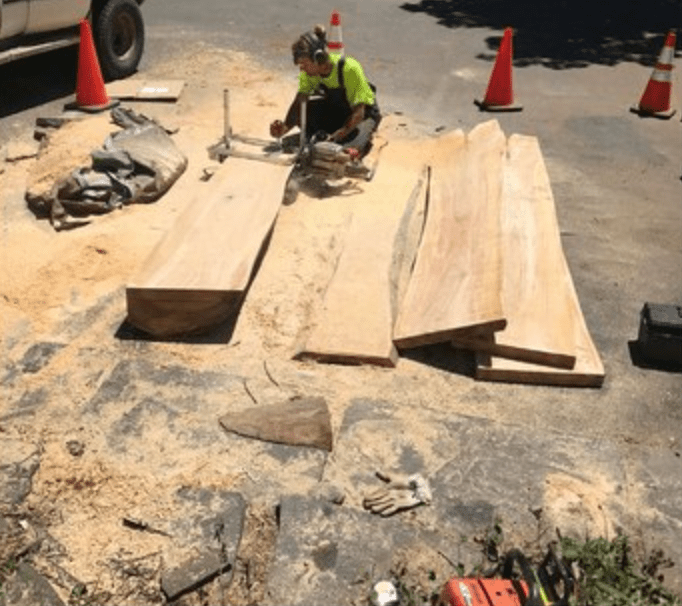 Three custom tables, crafted from the wood of an estimated 160-year-old oak tree downed in a March 2016 storm, were delivered earlier this month to the Riverside village hall. 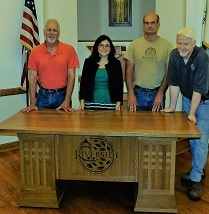 The story of the tree’s transformation into the trustee tables, was chronicled by the Riverside-Brookfield Landmark. 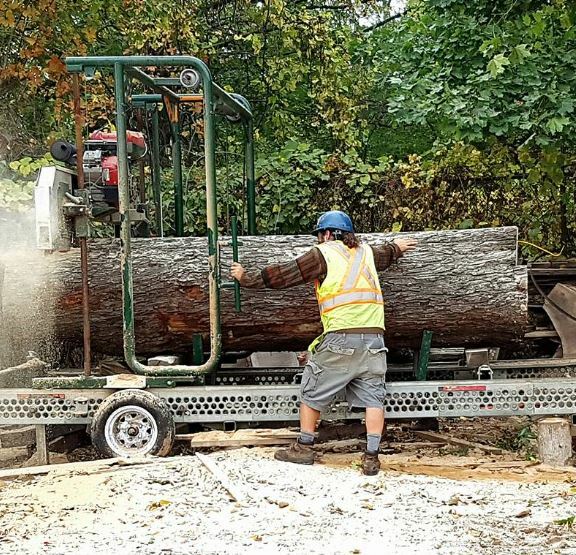 Three key players of the project included Michael Collins, village forester of Riverside; Dan DeSerto, owner of Bull Valley Hardwood; and Paul Meyer, owner of Woodstock Woodworks & Studio Ltd.
Collins was inspired to have the old oak made into something after it was bowled over by a wind storm in March 2016. He sought and got the blessing and backing of Riverside Village Manager Jessica Frances and the village board of trustees. Collins called DeSerto of Bull Valley Hardwoods to mill a 30-inch–diameter log from the tree and dry the lumber it yielded. 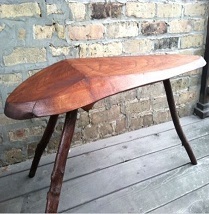 DeSerto recommended local custom woodworker Paul Meyers to create the Prairie-style furniture. The story also gives a shout out to Edith Makra and the Illinois Utilization Team.